Better act quick if you want to get the Anker PowerPort Cube for just $19 shipped (regularly $25.99). Use coupon code ANKERP27 at checkout today only. What is the Anker PowerPort Cube? 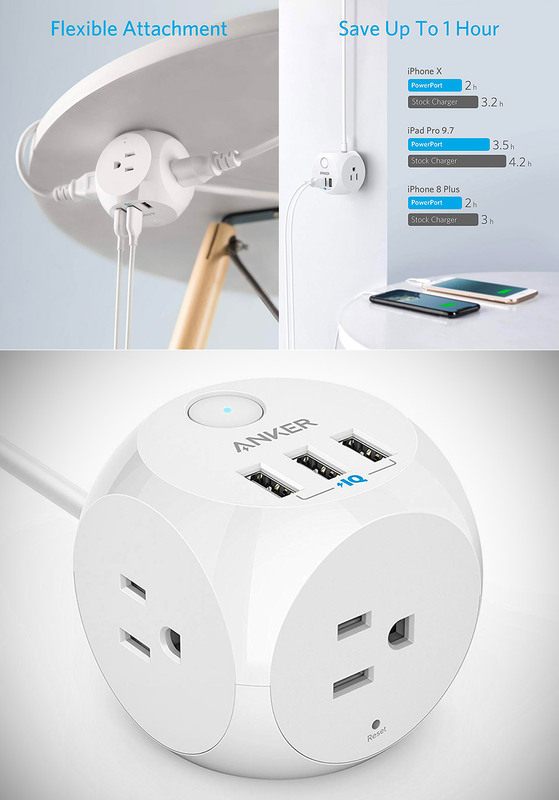 It is basically a 3-outlet power strip with 3 USB ports with smart charging. It is about the size of a tennis ball and has rounded corners. Video after the break if you want to learn more.